Everything you need to keep your Teen Safe. 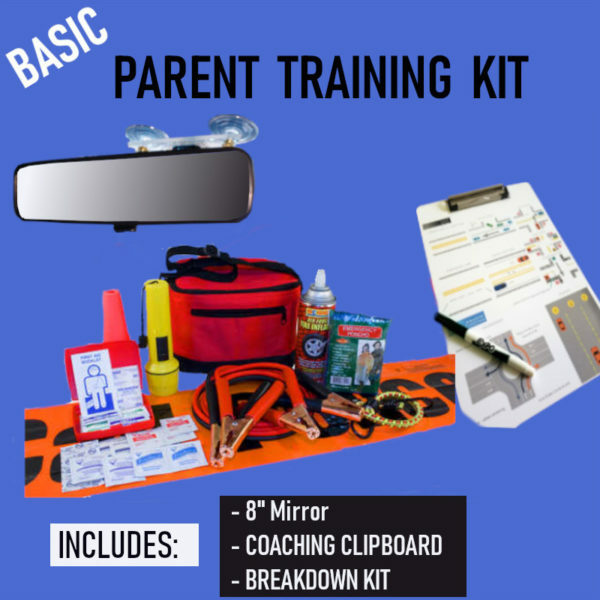 Includes In-Vehicle Items and Teaching Tools – as well as a Breakdown Kit so they are prepared for any Road Emergencies. Top of the line Suction Cup Mirror for increased visibility. Made with Real Glass and features day and night dimmer. AVOID THE HASSLE OF GLUE – this mirror attaches with 3 suction cups leaving no residue and allows full range of placement.